Come May, you’ll have another reason to spend more time and money at Whole Foods. The health-conscious organic grocery store is continuing the expansion and renovation of its 650 Ponce de Leon Avenue location with a fast-casual Brazilian restaurant. 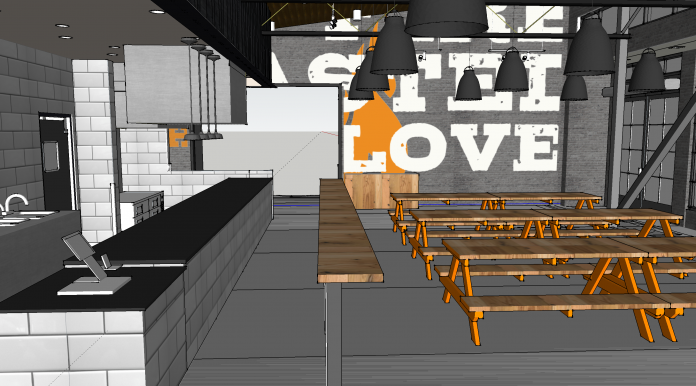 Tentatively titled the Roast, the restaurant will be the first of its kind for the company. The Roast will seat about 48 people and feature digital ordering kiosks. There will be a separate bar menu available only in the evening, with beer, wine, and soda on tap, as well as spirits and cocktails. Diners are invited to stay for a while, play billiards, and listen to a DJ set. The restaurant comprises the location’s third phase of renovation. It recently expanded 5,000 square feet into what was formerly part of Staples, and now offers a larger juice bar plus cold brew coffee on tap. In addition, Whole Foods (whose premium prices have often earned it the moniker, “Whole Paycheck”) is continuing to launch its new line of lower-cost stores called 365 by Whole Foods Market. Locations are planned to open in Decatur and Buckhead’s Paces Ferry Plaza.